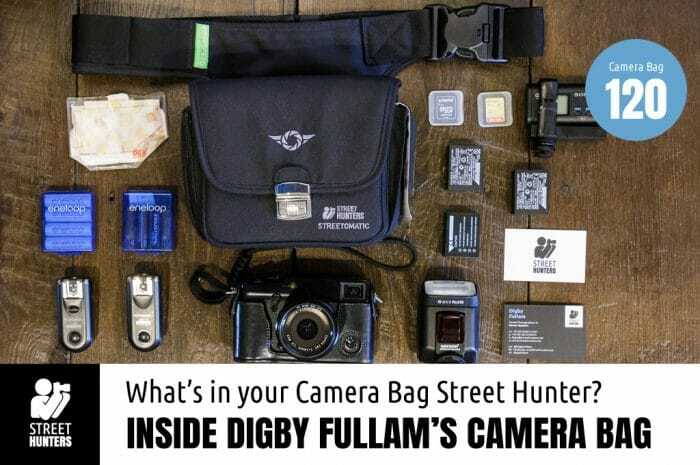 Home Tags Posts tagged with "Digby Fullam"
You may well remember back almost 2 years ago when I first shared the contents of my camera bag with you all. Quite a lot has changed since then, as I’ve moved away from using a full frame Canon 6D DSLR for street photography to a mirrorless camera, which has meant that my setup has gotten a lot smaller in the process. As we’ve had a little lull in our camera bag submissions of late, I thought I’d take the opportunity to share one of my updated camera bag setups with you all, in the hope that some of you who have already sent in your camera bags might resubmit if your camera gear setup has changed like mine has! This particular photo of my gear shows what I’d call my ultra-portable Street Hunt bag setup, and it’s a collection of all the equipment (including an action cam) that I need for shooting one of the street hunt videos you see on our YouTube channel. 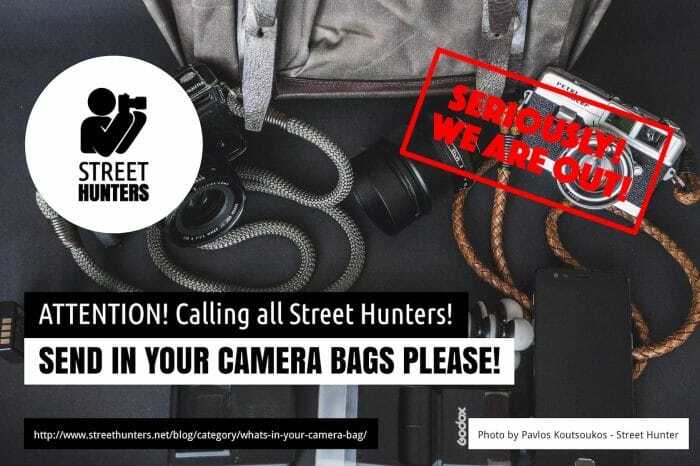 It can take hours and hours (and lots of miles of walking) to record a street hunt video, so I adhere to a strictly minimalist and ‘essentials’-only mantra to fit everything I need for a photo walk inside my Street Hunters Cosyspeed Camslinger Streetomatic camera bag. This light portability is huge departure for me from my previous massive Lowepro Messenger bag that held a DSLR rig and several lenses, but my newer lightweight bag setup includes everything I really need for a good street hunt, including my flash and triggers for off-camera flash street photography! 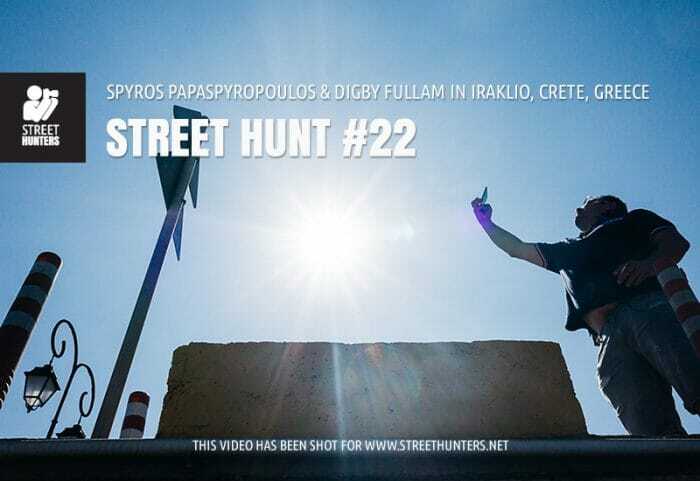 It has been a while since our last Street Hunt video release but the wait is now over. After a couple months of shooting, organising content and producing this video it is time for you all to enjoy it. Today, we will take you on a tour of Rethymno city in Crete during the 2016 Carnival day. We start our video in the heart of the carnival parade and just let loose and go with the flow, following the fun around each corner until we reach a most unexpected finale. 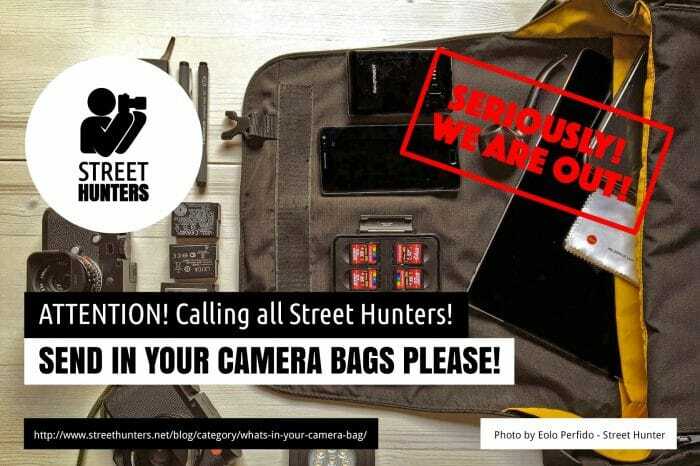 I say we, because this time the team is made of four street photographers. Digby Fullam editor of Streethunters.net, Dan Berntsson street photographer and good friend from Sweden, Anastasia Nazare street photographer and good friend from Greece and myself. 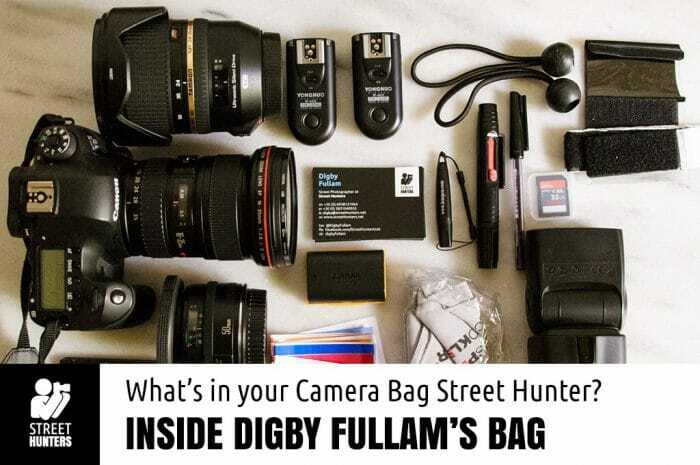 Inside Digby Fullam’s Camera Bag! I thought you might be interested to see inside my camera bag, which is a Lowepro Event Messenger 250. I carry lots of gear, as I change equipment to suit my needs and mood. Sometimes I’ll bring only my camera and one other lens, other times I’ll bring two extra lenses and all my flash gear. The Lowepro bag I use is very big, but I can fit loads of things in it if I want to. There is even a space at the back to fit an A4 pad or, if I’m not walking too far, a smaller 13-inch laptop like a MacBook Air or Pro. 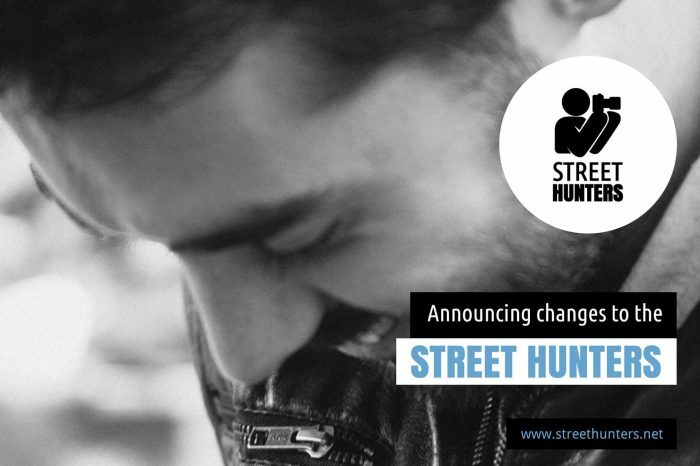 As you might remember, a while back our dear friend Casper Macindoe retired from the Streethunters.net brand for personal reasons. Casper was a creative genius and a wonderful person, our team’s zen master. Always creative, tranquil and helpful. Him leaving left Andrew and myself struggling to keep up with the flow of things and the fast pace we had set for Streethunters.net by then. Happily, we have managed to succeed, especially with the help of Anton Fortein and the other SHRC moderators that have completely taken over management of our GooglePlus Community. This gave us some extra time to work on our website’s content and to keep it constantly up to date.